These electronic parts are made to optimize your brushed motor system! The booster attaches to the motor and improves output by reducing noise. 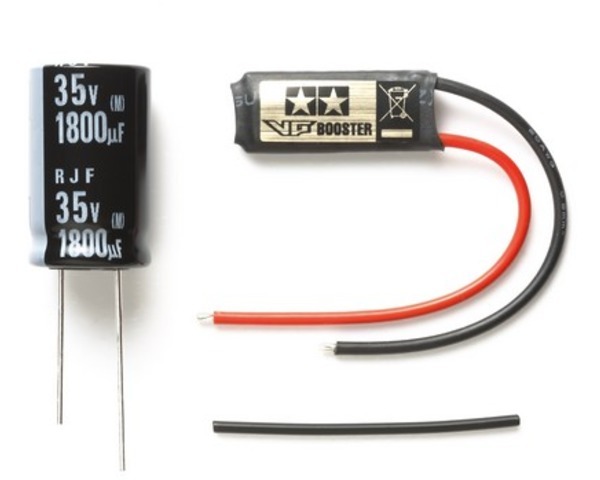 Fit the capacitor to a brushed ESC to smooth out power supply and increase efficiency. Item contentsBooster x1Capacitor x1Compatible with brushed motors and ESCs. Soldering required for attachment.